Although several schools in the Raleigh-Durham area and across the state are year-round, many others have summers off. Now that summer is coming to an end, more school buses will be on the roads again. According to the National Highway Traffic Safety Administration, "from 2003 to 2012, 70% of school-age pedestrians fatally injured in crashes were struck by school buses or vehicles functioning as school buses." Specific provisions in North Carolina law address how traffic must respond to school buses. In both of the above situations, only the vehicles following behind the school bus must stop. Drivers who willfully violate the law and strike a person are considered guilty of a Class I felony. The minimum mandatory fine is $1,250. If a driver willfully violates the law, and the violation causes the death of a person, the driver would be considered guilty of a Class H felony and a minimum mandatory fine imposed is $2,500. An individual who violates the law a second time (within a 3-year period) in a collision that does not result in the death of another person will have their license revoked for one year. An individual who violates the law a second time (within a 3-year period) in a fatal collision will have their license revoked for three years. 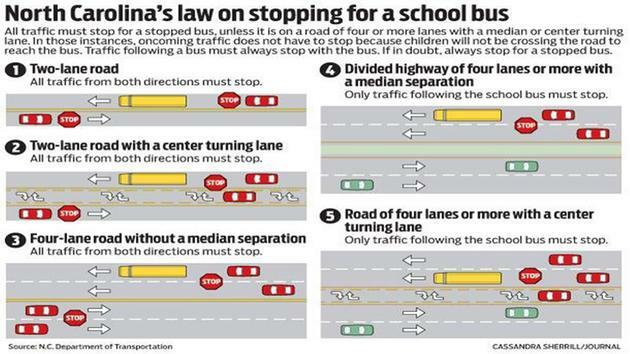 The North Carolina Department of Transportation provides a diagram showing the various lane structures and when other vehicles must stop for a stopped school bus. Depending on the circumstances of the accident, laws of jurisdictions outside of North Carolina might apply. Understanding the law is helpful when gathering accident evidence for a school bus accident. Was the driver at fault? Did the bus company fail to properly maintain the vehicle? 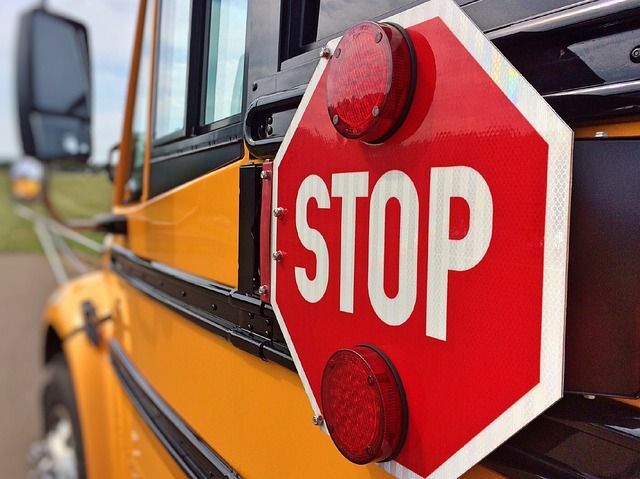 Did another driver violate traffic laws and pass a stopped school bus? Our school bus accident attorneys offer free case evaluations. Whether a child suffered a minor injury or faces a permanent life change as a result of the accident, contact our attorneys to learn more about how laws apply to your case.